Dr. Gang Feng (M'01, SM'06) received his BEng. and MEng degrees in Electronic Engineering from the University of Electronic Science and Technology of China (UESTC), in 1986 and 1989, respectively, and the Ph.D. degrees in Information Engineering from The Chinese University of Hong Kong in 1998. He joined the School of Electric and Electronic Engineering, Nanyang Technological University in December 2000 as an assistant professor and became an associate professor in October 2005. At present he is a professor with the National Laboratory of Science and Technologies on Communications, UESTC. 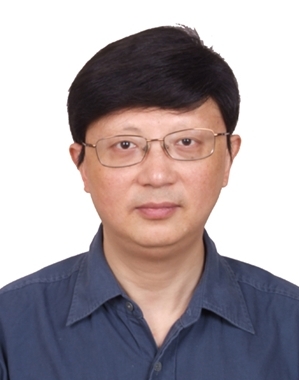 Dr. Feng has extensive research experience and has published widely in computer networking and wireless networking research, with contributions to SDN/NFV based wireless network architecture, AI-enabled wireless access control and handoff policy, content caching and distribution in wireless networks, etc. Many of his papers are listed as ESI highly cited papers and the total number of cites reaches nearly 3000 (google scholar). His research interests include next generation mobile networks, mobile cloud computing, big data analytics for wireless networking, etc. Dr. Feng is a senior member of IEEE. Abstract: The ever-increasingly complicated configuration issues and blossoming new service requirements will pose great challenges to wireless networks. Recent breakthroughs in artificial intelligence (AI), especially machine learning (ML), and the availability of powerful computing platforms provide us with technologies to address these challenges by performing tasks once seemed impossible. Therefore, we expect that AI can provide many new and unprecedented opportunities in addressing challenging issues in radio access network (RAN), such as access control and handoff policy design, resource allocation and scheduling, interference coordination, coordination among base stations, etc. In this talk, I will first discuss the opportunities and challenges to exploit AI at the edge of wireless networks. Next, I will provide three case studies of exploiting AI to solve RAN issues: online learning based Discontinuous Reception (DRX) mechanism for machine-type communications, intelligent resource scheduling for 5G RAN slicing, and smart handoff policy for HetNets. These case studies with numerical results demonstrate the effectiveness and advantages of AI based technologies for improving network performance with reasonable signaling overhead for future wireless networks.